- Size : 3/8", 7/16", 1/2", 5/8"
Avail from us premium grade Tool Post Key, that conform to the international quality standards. 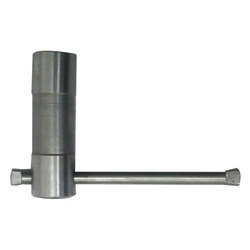 These Tool Post Key are well suited for the CNC machines, lathe machines, drilling machines, productive drilling tools, milling machines, coordinate boring machines, numerically-controlled machines and many more. With years of practice of this industry, we are providing Tool Post Key. It is rigorously tested against each and every parameter to ensure its flawlessness towards user end.